Mighty Clean Carpet Care is a professional Carpet Cleaning Company serving Bristow Virginia residents. We specialize in Carpet & Upholstery Cleaning, Bristow Steam Cleaning, and Fine Fabric Care. 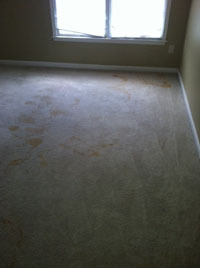 Your carpet is a big investment, but normal wear & tear can quickly leave it looking dull and dingy. When you decide to hire a professional carpet cleaner, how do you avoid companies who do more harm than good? Mighty Clean is IICRC Certified and offers a 100% Money Back Guarantee! 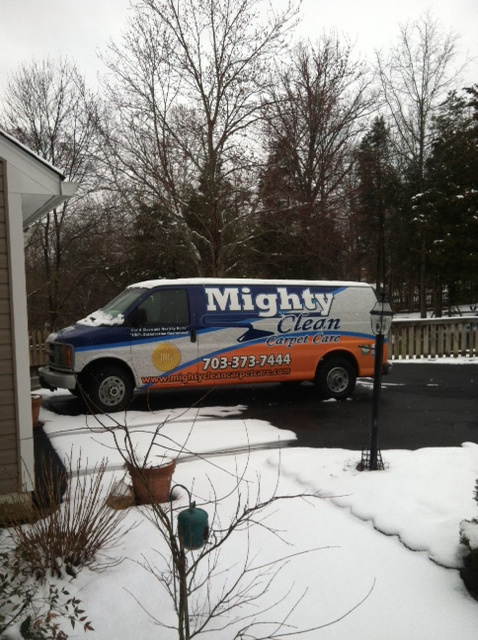 When you call Mighty Clean Carpet Care, you don’t just get some guy with cleaning equipment. Our carpet cleaning technicians go through extensive training to learn the chemistry behind the solutions they use. Technicians are certified by the I.I.C.R.C. and trained to ensure they know the most effective ways to remove soils, tough stains, and protect your carpets to ensure they last for years to come. Our carpet cleaning process utilizes the Hot Water Extraction method recommended by the major carpet manufacturers including Shaw Industries. 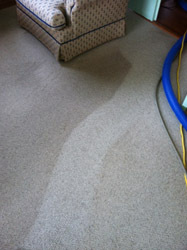 Just as the best method for cleaning cloths requires hot water, detergent, and agitation, so does cleaning your carpets. That’s why we combine our truckmounted cleaning power with a rotary extraction cleaning wand to thoroughly flush out the carpet. Our Bristow friends and neighbors love our Guarantee! We guarantee your satisfaction the first time every time. If you’re not totally satisfied with the results following your cleaning, we’ll return to clean any areas of concern at no cost to you. If for whatever reason your still not totally satisfied we’ll refund your money no questions asked. Here is an example of a recent job in Bristow. The customers major concern was the significant stains and odor from pet urine throughout the top floor. In cases this severe we normally recommend replacing the carpet as the cost of to properly treat the hundreds of pet stains would quickly reach the cost of replacement. The customer clearly expressed that they were not prepared to pay for new carpet at this time…. so we developed a plan to achieve the best possible results with the customers budget in mind. The results were far beyond what the customer expected and we were able to remove the majority of the stains and achieve a huge improvement in the odor! Here is an example of berber carpet we cleaned recently in Bristow, you can clearly see the difference in the before and after. 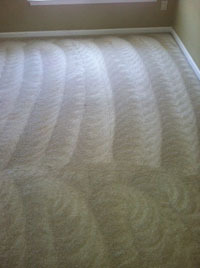 We also cleaned cut pile carpet in the customers family room, stairs, and a few other rooms as well as a few wool rugs. Berber can be tougher to clean, however when it is cleaned properly the results can be much more impressive looking because so much of the build up of soils and oils sit right on top, as apposed to “cut pile” carpet where and dirt and stains cover the fiber below the surface as well! Bristow is in Prince William County, Virginia, United States. The population was 8,910 in the 2000 census, and the 2009 estimate of 15,137. The former town proper was located on SR 619, Bristow Road, about 1 mile southwest of the intersection with SR 28, Nokesville Road, at the Norfolk Southern Railway crossing. 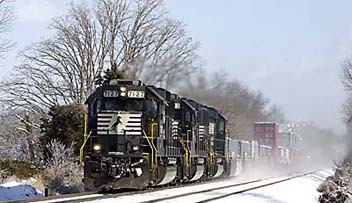 There are no active businesses left at this location, though a crew change point for the railroad is just up the tracks from the railroad crossing. The new town center has, in general, relocated farther West around the Braemar Parkway area. Bristow is rapidly being absorbed into the expanding suburbs of the city of Manassas, including such developments as Bristow Station. The area is mostly upper-middle-class residential managed communities including but not limited to: Braemar Community, Bridlewood, Bridlewood Manor, Brookside, Crossman Creek, Foxborough, Kingsbrooke, New Bristow Village, Lanier Farms, Sheffield Manor, and Victory Lakes. The community is home to the Jiffy Lube Live outdoor concert stage which was formerly known as the Nissan Pavilion. As of 2009, Bristow, Virginia has a population of 15,137. Since 2000, the town has seen an population increase of about 89%. The majority of the Bristow Area was previously part of the Linton’s Ford Plantation, owned by the Linton Family from the 1700s. 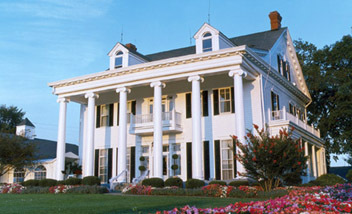 In 1894, Sarah Linton converted to Catholicism, and the property was deeded to the Roman Catholic Church. The Linton Hall School was founded, for which the main road was named: Linton Hall Road. However in the late 20th century, much of the original property was sold to developers to raise money to support the school. The result was a population boom for the Bristow area (and increased enrollment for the school.) The Linton Family (with the exception of Sarah Linton) are buried in the Linton Family Cemetery in the Braemar Community. The cemetery is legally unowned due to records loss when the Brentsville Courthouse burned in the Civil War. However maintenance is provided by the Braemar Community Association with coordination with the Benedictine Sisters at Linton Hall. According to the Geographic Names Information System, Bristow has also been known as Briscoe, Bristoe, Bristoe Station, and Bristow Station. The Board on Geographic Names officially decided upon Bristow as the community’s name in 1906.